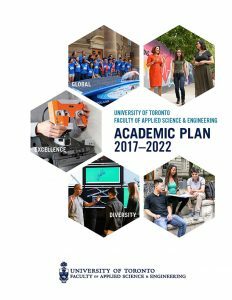 The Faculty’s Academic Plan is the result of thorough consultations with faculty, staff, students and alumni. This Plan, which was approved on December 12, 2017, sets our academic and administrative directions for the next five years. It aims to strengthen our research-intensive culture, academic rigour, global reputation and visibility, enrolment, excellence in students — experiences inside and outside the classroom, funding models and our internal and external collaboration, outreach and influence. The Faculty also underwent an external review in 2016-2017. The review was commissioned by the Vice-President and Provost, and included a self-study. Learn more about the external review.